Yeehah! 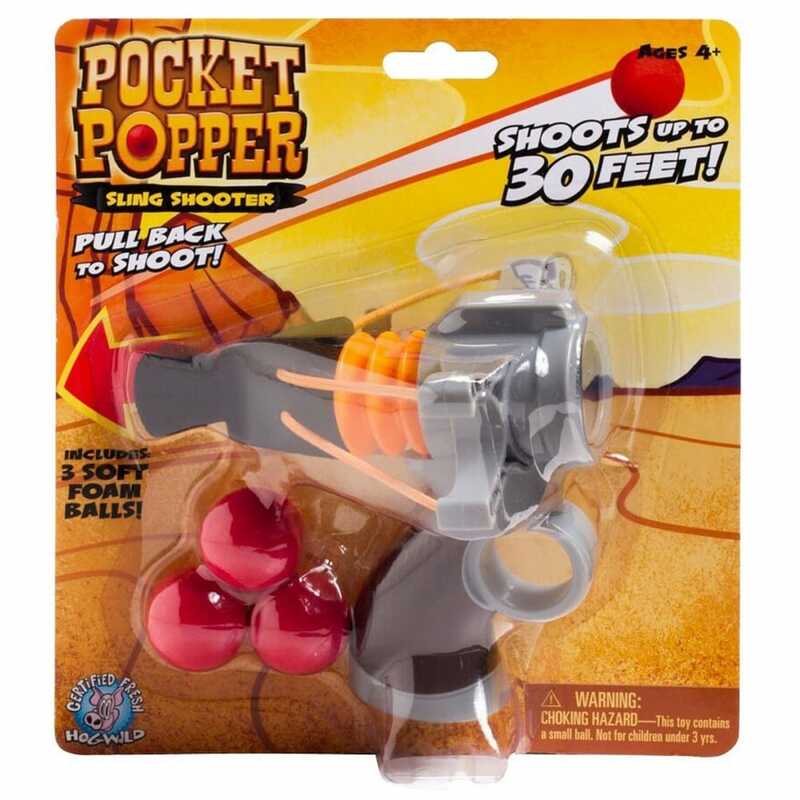 Time for some wild west action with this air-powered sling shot pocket popper. Simply load the soft foam ball draw back the catapult and release and with a satisfying POP! the ball flies up to 20 ft.
Great for hand to eye coordination and encouraging fine motor skills with fun play. The foam balls are a soft dense foam that will not easily tear or shred and are safe for both indoor and outdoor play, each pack comes complete with 3 coloured balls.